On Tuesday, Docker announced that former SAP executive Steve Singh has taken on the role of CEO for the company. The move came as somewhat of a surprise, given that only two weeks prior, at the company’s Dockercon user conference, now former CEO Ben Golub laid out the company’s plan for getting Docker containers into the enterprise market. In 1996, Singh had founded Concur, which brought to market innovative software for managing corporate travel and expenses. 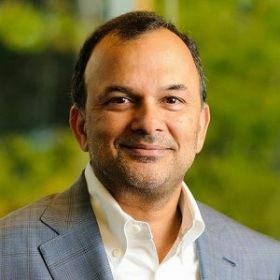 SAP acquired Concur in 2014 for $8.3 billion and moved Singh to oversee the company’s business networks and applications group, which included Concur, SAP Ariba and SAP Fieldglass. Singh signed on to Docker last November when he joined the company’s board of directors. 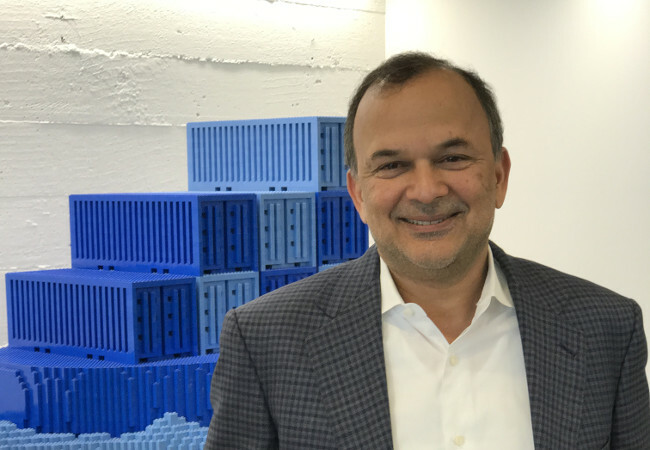 In addition to the CEO role, Singh will also serve as Chairman of Docker’s board of directors. Golub himself will stay on as a director on Docker’s board. Singh noted that Golub, along with company Chief Technology Officer Solomon Hykes, first approach him about taking over the CEO role. Singh initially balked at the idea, because “Ben was doing such a great job” as CEO. But as they talked, they all agreed that Singh could drive the next stage of growth more effectively. Singh wants to continue the company’s technology drive, as innovation is what keeps any tech company ahead, he explained. He also will continue to enterprise drive, with more muscle on sales and support. Now the company has 400 enterprise-level companies using Docker in mission-critical duties, but the set of problems that containers address is “universal” in the corporate space. Lastly, Singh is cognizant of the importance of fostering a positive, inclusive culture within the company. What drew you to IT initially? What brought you to this circus? For me, like a lot of other people, it was an accidental introduction to the technology industry. You know how it is: Once you embrace any part of the technology industry you get hooked. I started off at a division of Apple back in the mid-1980s and it grew from there. I got to work with some of the early folks at Apple, such as Bill Campbell. Part of it for me was I love being an entrepreneur. I had the chance a long time ago to start a business [Contact Software], which grew into a product called ACT!, which was acquired by Symantec [in 1993]. To solve a problem that really came from that acquisition process, I had the idea for an expense reporting company, which grew into Concur. What are the elements of the success of Concur that you are hoping to bring to Docker? I think there is a lot of commonality between Docker and Concur, not the least of which is that we serve a common customer: corporations that are looking to drive efficiencies in processes that are either manual or just broken. Hopefully, I should be able to add some value around how to build an organization to sell, serve, and support enterprises. Great companies are great innovators. I truly believe this with every fiber of my being. The focus on defining a long-term vision and then charting a path to execute on that is a critical part of a company’s success. Here I am lucky to work with a pretty incredible guy, Solomon, to chart that product strategy, and execute on it. That’s fair. I have a view that is shared across the executive team and even the board: The next generation companies will embrace open source, for a simple reason. Open source embraces the fact that genius, that creativity, that contributions will be made from any corner of the world. In my view, the companies that embrace this, and add value on top of that stack, will always accelerate faster than companies that don’t. Think about what is happening. The world is moving from big monolithic applications, to cloud companies, to microservices. What we are doing is opening up the stack. We are creating components that can be plugged together in lots of different forms to solve big problems. This is the model of the future. Docker relies on partner companies. What is your view on maintaining this ecosystem and fostering partnerships? Partners are critical to the plan and the way we view the world. We thrive and our customers thrive when we embrace an open source ecosystem. You can’t build a platform company without being open, and embracing others. To be fair, I think this pushes all of us to be better at what we do. This news of your appointment came as a surprise to many so shortly after Dockercon. Will you bring any course corrections, or augmentations, to the strategy Golub outlined in his keynote talks at the conference? No, the Docker strategy is exactly as we discussed at Dockercon. That is the model we will continue to operate on. Solomon, myself and Ben had been chatting about my joining for a little bit now, and part of that was making sure we all agreed on the strategy we rolled out at Dockercon. Does this transition in any way anticipate another round of funding, preparation for an acquisition, or an Initial Public Offering (IPO) for Docker? Docker has the capital it needs to execute on its plan and become a cashflow-profitable business. Having said that, we will certainly be opportunistic, and to the extent that we find capital available to us at a compelling value, then we will look at it. Should we raise any additional capital — and I emphasize the ‘should we’ part — it will be to accelerate our innovation and focus on the enterprise. We see an incredible opportunity to build a great company, and an IPO is just a step of that process, and that will be some time, obviously, in the future. As a veteran in the tech industry, you certainly see that there is a change in the culture of late, with increasing calls for workplace diversity and inclusion. What are your thoughts about inclusion and Docker? Obviously, I embrace the concept of diversity and inclusion. You’re talking to an Indian guy, and so I certainly appreciate that. Here’s the thing: we perform better — whether as a small group, a company, a community or as a country — and bring out the best in ourselves if we embrace diversity, not just in people but in thought. This is how great companies are built, and how great countries are built. Diversity brings out the best of us. This is a core part of the Docker ethos, and every member of the Docker community should have 100 percent commitment to that. Alex Williams, Scott Fulton, and Lawrence Hecht contributed questions for this Q&A.